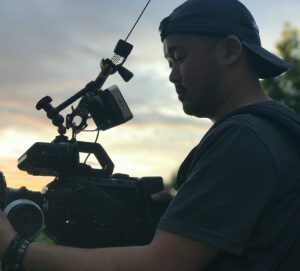 Ben Enke is an award-winning Director of Photography from Seoul, South Korea, living in the Twin Cities. He has lensed numerous films featured at festivals and in theaters across the country, including the award winning short films CLEAN CUT and SHEAR MADNESS, feature length documentary OUT IN THE COLD, and the feature length narrative MILES BETWEEN US. Ben has a bias towards naturalistic cinematography, particularly images that make you feel something, even if you don’t quite know what that feeling is. He enjoys street photography and thumbing through Instagram in his spare time.